As a coach or team staff member, you may find it difficult to transport your sports club to and from games. When it’s time to compete you need to be riding with someone you can trust, and we do just that. 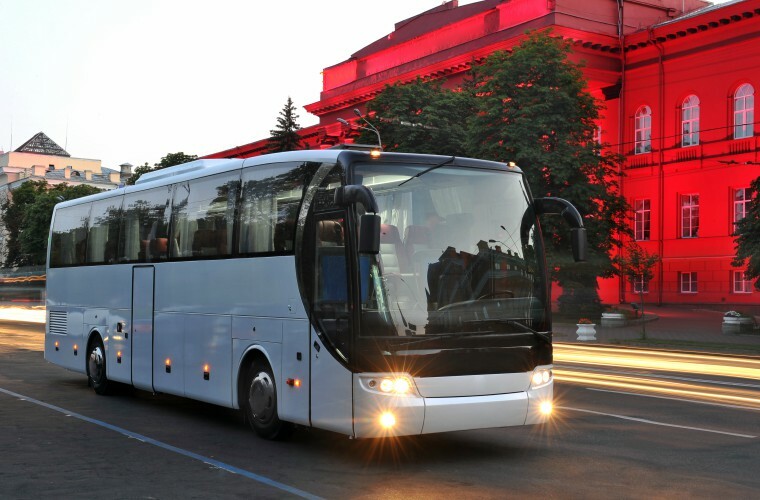 Charlotte Charter Bus Company handles all of your transportation needs with ease. We have experience transporting teams on every level of competition, so no matter what sport your team plays or where they’re playing, we can find the perfect solution for your needs. Call us today for more information at 704-302-1258. Your team probably has a lot of equipment that needs to be brought on the road when you compete. Instead of worrying about how you’re going to transport it all on gameday, allow us to handle that for you. When you book a full-sized charter bus or minibus, you’re provided a motorcoach that’s equipped with oversized luggage bays and storage bins. These features allow you to pack as many team items as you need, whether they be helmets, pads, uniforms, training equipment, or anything in between. From 56-passenger charter buses to 18-passenger minibuses, we offer solutions that can fit every member of your team and coaching staff. Sports that require larger rosters--such as football or rugby--find a full size charter bus more than capable of meeting their space needs, while basketball and soccer teams love the comfort and efficiency of a minibus. Keep your team on a unified front with a safe, affordable solution. You don’t have to hang around the venue of the competition if you don’t want to. You and your team are free to explore any places in the immediate area, thanks to our exclusive shuttle service. If you’re traveling a long distance, your team can check into its hotel and get a bite to eat before the big game. Your team deserves to relax a bit before the big game, and Charlotte Charter Bus allows them to do just that when you’re en route. Take your mind off of the game for a while by booking a luxury charter bus fitted with a number of unique amenities. Premium features such as WiFi, DVD players, television, restrooms, and power outlets give your team the ability to unwind and stay loose before the big game. If you’re a fan of a specific team, you can support your team now better than ever. With a private coach, you can follow your team to any away game--no matter where it is--and support them wholeheartedly. Distance no longer has to be an issue, and you’re able to bring the hometown experience on the road. If you’re interested in tailgating before the game, you can even bring your essentials with you. Pack your grill, food, coolers, and beverages into your charter bus’s luggage bays and storage bins, so you can make the most of your time on the road. Charlotte Charter Bus Company makes it easy for you to enjoy your gameday transportation. No matter if you’re an athlete, coach, or member of a training staff, we can safely accommodate everyone with ease. Let industry-leading professionals handle the responsibility of getting you there, while you focus on the big game. Call a reservation specialist at 704-302-1258 for more information.